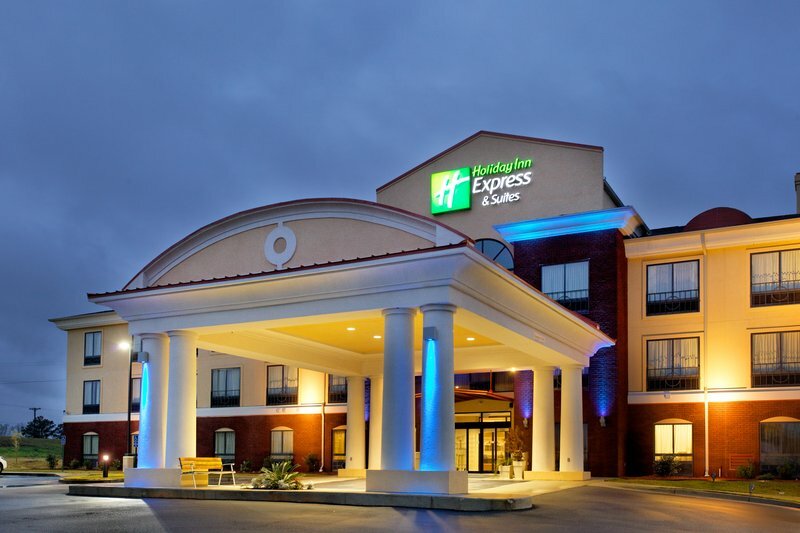 Check Rates & Availability at Holiday Inn Express & Suites ANDALUSIA! Welcome to the Holiday Inn Express Andalusia, AL HotelCome experience a memorable stay with first-class amenities and beautiful d cor at one of the finest hotels in Andalusia, AL. Located on US 84, our hotel is convenient to downtown and close to major businesses in the region. We provide a name you can trust when visiting the great state of Alabama, and thanks to our reasonable rates, we're definitely the place where you can "Stay Smart" in Andalusia.The contemporary Holiday Inn Express Andalusia, AL hotel is situated only five miles from downtown, and we are within easy driving distance of several major businesses, including the Carolina Millwork and Truss, CDG Engineers and Associates, Delta Lighting Supply Co, Nano Materials Manufacturing and Vector Aerospace. Complimentary high-speed Internet access, a 24-hour Business Center and an 800-sq ft meeting room make conducting business easy when staying with us.Our Andalusia, AL hotel's location is near multiple attractions including Blue Lake Park, Evans Barnes Golf Course, the Three Notch Museum and the Clark Theater. If sandy beaches are calling your name, the gorgeous Gulf Coast is only an hour away from our hotel.Few business-oriented hotels in Andalusia, AL match our indoor corridors and an array of complimentary amenities, including a hot breakfast bar, a 24-hour Fitness Center and an outdoor swimming pool. Make your reservation today for the best Andalusia, AL hotel.